Mammoet is to develop ground-breaking industry solutions in partnership with start-ups and established companies through PortXL. Global market leader in engineered heavy lifting and transport Mammoet has signed an agreement to join PortXL as a corporate partner. 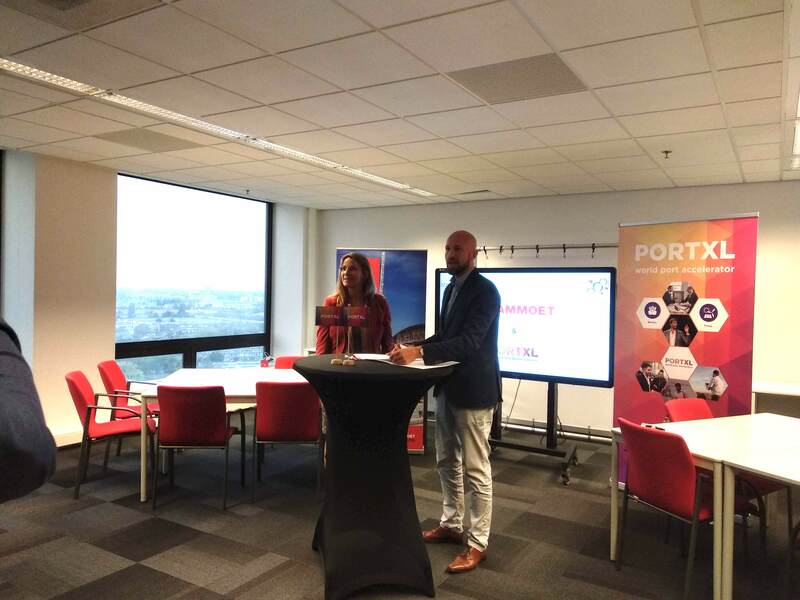 This partnership enables Mammoet to tap into the PortXL ecosystem and collaborate with established businesses and start-ups active in the maritime sector – working in energy, ports, refineries, shipping and logistics – in an atmosphere of creativity, collaboration and a shared determination to make positive change within the industry. Experts from Mammoet will provide specialist support to entrepreneurs and innovative thinkers. Likewise, existing initiatives within Mammoet will benefit from the input of external specialists and entrepreneurs. 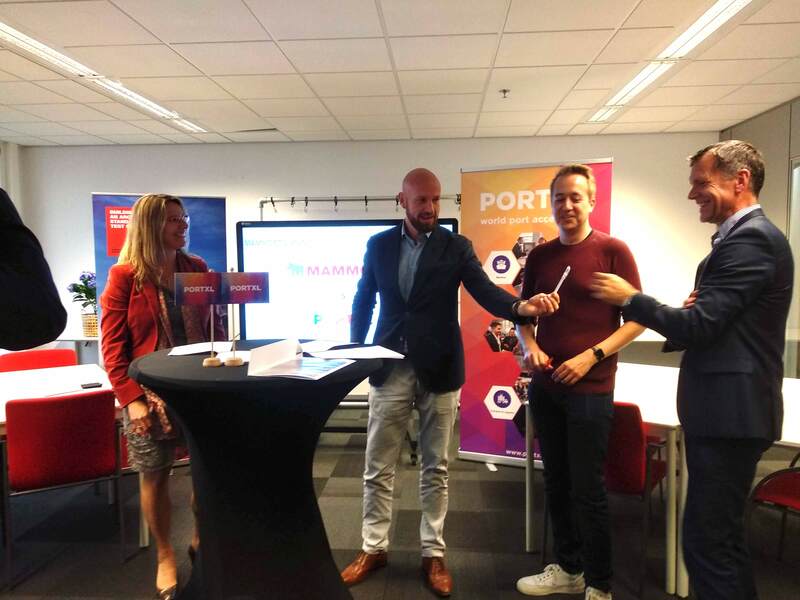 By opening up channels for mutually-beneficial collaboration, the PortXL platform provides a catalyst for growth for Mammoet and the maritime sector as a whole. (FROM LEFT) Kirsten Bradley – Director Business Development Mammoet Europe, Mare Straetmans – PortXL Managing Director, Raymond Hannes – Member of Foundation Board PortXL (Managing Partner DigiGurus), and Paul Smits – Chairman of Foundation Board PortXL (CFO Port of Rotterdam). “We are honoured to welcome Mammoet among our partners and we hope that their invaluable contribution and expertise will help lift our programme towards new heights,” says PortXL Managing Director, Mare Straetmans. Mammoet’s involvement with PortXL’s activities starts immediately. PortXL is located in Rotterdam, Singapore and Antwerp, but technological breakthroughs will be sought from around the world, with Mammoet offering technical expertise, knowledgeable guidance and industry insight to develop the most exciting new ideas into the game-changing solutions of the future.